New Podcast for Brady: Tune into Dispatches: The Podcast of the Journal of the American Revolution! While the British army occupied Philadelphia, the insurgent General George Washington was determined to starve it of supplies. Lead by Patriot raider-extraordinaire John Lacey, militiamen burned and terrorized Pennsylvania crops and farms to ensure that their wares could not be sold into the city. In an attempt to reopen supply lines British dragoons took to the countryside to find Lacey's Patriot militia in a seek and destroy mission. This week our guests are Historian Dennis Cook and the National Park Service's Andrew Zellers-Frederick...spared no expense. 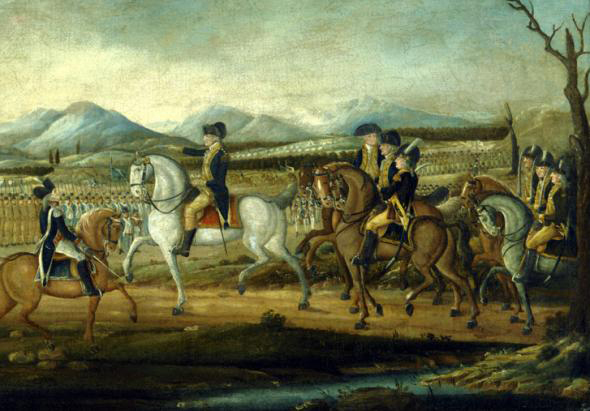 On the eve of the American Revolution, the northeast prepared for war. After both claiming much of modern northeastern Pennsylvania, Connecticut settlers poured into the Wyoming valley. 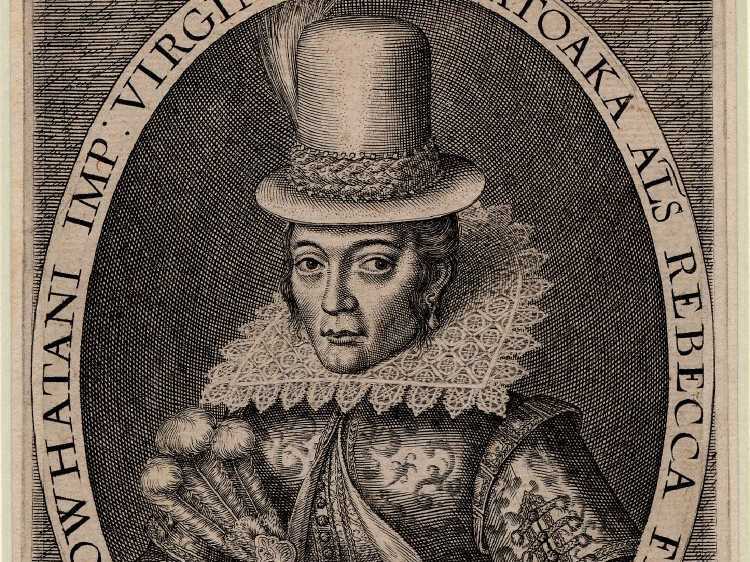 After taming the soil and organizing communities, these "Yankees" established a veritable New England colony within the modern boundaries of Pennsylvania. Feeling slighted, the Penn family waged a partisan war against the Yankees, leading to a civil war between the colonies known as the "Yankee-Pennamite War." On this episode our guests are lawyer Steven Killian and Pennsylvania Historical and Museum Commissioner Bill Lewis...spared no expense. In 1778 the true brutal nature of the American Revolution was revealed when Iroquois warriors and Loyalist rangers attacked the Patriot settlement of Wyoming. Known as the breadbasket of the Revolution, the settlers of Wyoming were betrayed by a local loyalist family and subsequently massacred by their attackers. The bloodshed and violence at the Wyoming Valley remains one of the most terrible moment of the American Revolution. On this episode are guests are Bob Mischak and author Mark Dziak...spared no expense. 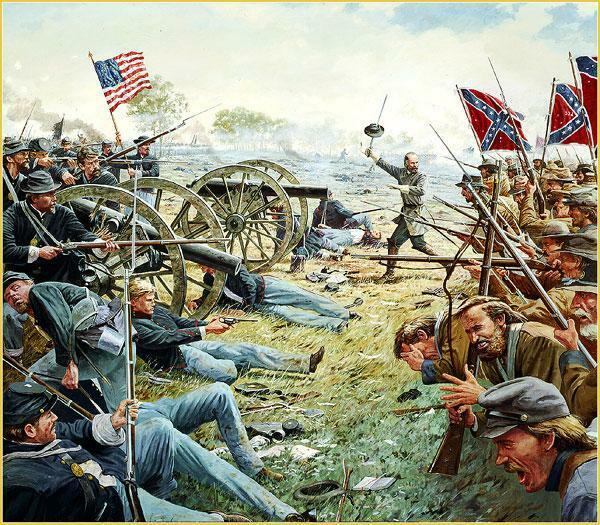 On July 2nd, 1863 the battle for Lee's left flank was on. While the Army of the Potomac and Army of Northern Virginia tangled at Gettysburg, the two sides squared off four miles away at Hunterstown. Pitting Wade Hampton against George Armstrong Custer, Hunterstown represented the most leftward action of the battle, and many consider it a smaller battle in its own right. This week marks the return of four-time guest JD Petruzzi...spared no expense. In 1754 the armies of New France descended upon the North American frontier. After building a series of forts connecting the Great Lakes to the Ohio River, the post named Fort Duquesne stood as the key to continent. By connecting vital rivers and lakes, Fort Duquesne was the great beacon of French power in the Western Hemisphere, and united an empire larger than the distance from Paris to Moscow. On this episode our guest is Fort Pitt Museum's Alan Gutchess...spared no expense. In 1756 the French Empire allied with the disaffected warriors of the Ohio Country. As the Seven Years' War began, these Mingo, Delaware, and Shawnee warriors began raiding the Scots-Irish settlers of the Pennsylvania backcountry. In one of their first raids, McCord's Fort was attacked and destroyed revealing a new level of violence yet unseen along the North American frontier. On this episode our guests are US Army Historian Andrew Newman anf Jonathan Burns of Juniata College...spared no expense. In 1758, British General John Forbes began his march on the French Fort Duquesne. Along the way he built several forts and posts, but none was more impressive than Fort Ligonier. On this episode our guests are Fort Ligonier's Director of History and Collection Erica Nuckles, and Brad Mooney of Heritage Restorations...spared no expense. After the Washington's defeat at the Battle of Brandywine, the Continental Army had one last chance to save the city of Philadelphia. 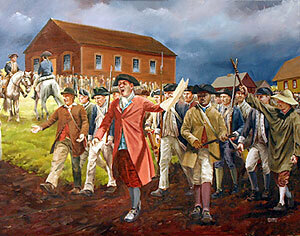 Led by "Mad" Anthony Wayne, the Patriots tangled with the Redcoats in the dead of night near the Paoli Tavern. The result was fraught with controversy, and the Battle of Paoli is remembered as a massacre. On this episode our guests are Greg Bray and Matt Kalos...spared no expense. In 1863 Robert E. Lee's Army of Northern Virginia invaded Pennsylvania. On June 30th, 1863 Confederate Lt. General Albert G. Jenkins and Union Major General Darius Couch squared off at Sporting Hill. Just one day before the Battle of Gettysburg, the Skirmish at Sporting Hill gave northerners a small taste of just how terrible the war could be. As it stands, Sporting Hill was the northern most engagement of the Gettysburg Campaign. On this episode our guests are author Cooper Wingert and Jim Schmick...spared no expense. Known as a bastion of independence on the American frontier, the Scots-Irish city of Hannastown was considered a vital target of Pro-British forces during the American Revolution. In 1775, a full year before the penning of the Declaration of Independence, Hannastown produced their own document challenging the Crown. 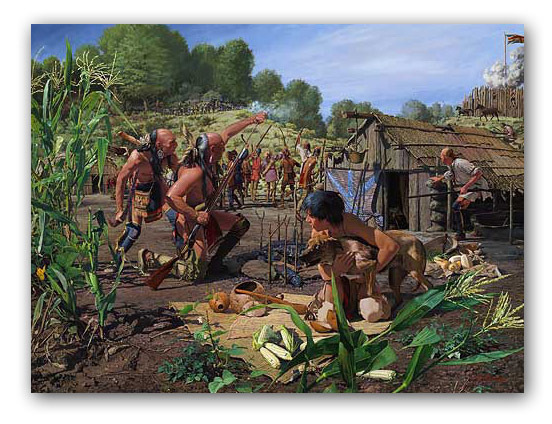 As many of the Patriot armies most infamous troops emerged from the town, Seneca warriors razed Hannastown in 1782. It was the greatest Indian victory of the American Revolution. On this episode our guests are site supervisor Lisa Hayes and Dr. Peter Gilmore...spared no expense. In the decade after the American Revolution farmers on the western frontier rose up in rebellion against the new federal government. Believing themselves to be ill-represented and abused, the region known for its whiskey production became a hotbed of sedition. On this episode our guest are Dr. Kevin Kopper and Robert Windhorst...spared no expense. In 1844 the city of Philadelphia exploded into violence and chaos. With recent Irish immigrants coming to America by the tens of thousands each year, Nativist forces across the Northeast began to protest. In the Irish neighborhood of Kensington tensions boiled over, and the result was three days of fighting, church burning, and eventually open combat. On this episode our guests are author Ken Milano and Professor Katie Oxx...spared no expense. On July 30th, 1864 a Confederate force under the command of Brigadier General John McCausland captured the city of Chambersburg, PA. A year after the terrible bloodletting at Gettysburg, this time the Southern Rebels returned seeking revenge for union depredations in Virginia. After ransoming the town for $500,000, the Confederate General torched the city filled with noncombatants. 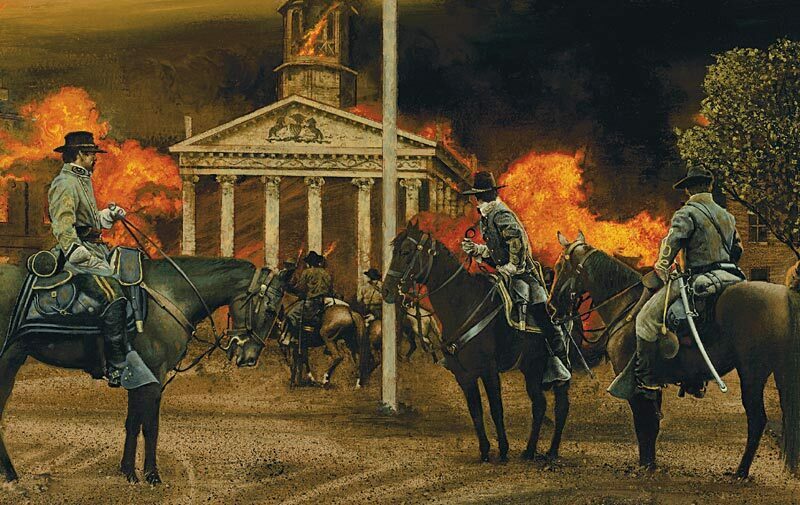 The Burning of Chambersburg remains as a shocking reminder of the brutal reality of the American Civil War, and a seminal moment in the conflict. On this episode our guests are former NPS Historian Ted Alexander and Pulitzer Prize nominee Jeffrey Wert...spared no expense. From September to November of 1777, the British Navy besieged the Patriot post of Fort Mifflin. As the British fully occupied the city of Philadelphia, they needed to import vital supplies up the Delaware River. So long as Fort Mifflin stood, their route was blocked. On this episode our guests are author Tim McGrath and site administrator Beth Beatty...spared no expense. On June 28th, 1863 as Confederate forces marched toward Gettysburg, they first tried to cross the Susquehanna River. To do so, rebels under the command of General John B. Gordon first needed to cross the world's largest covered bridge at Wrightsville. 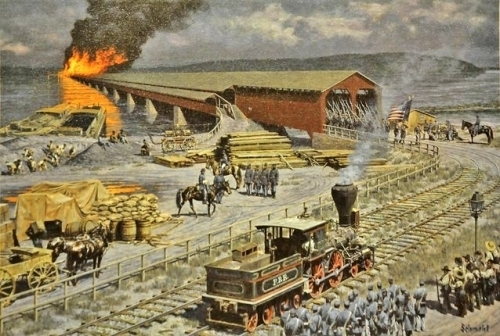 A battle against Pennsylvania militia ensued, and the landmark bridge was destroyed. On this episode our guest is author Scott Mingus...spared no expense. In 1813 the paltry American navy squared off with the British navy on the Great Lakes. Lead by Oliver Hazard Perry, the Battle of Lake Erie was a shocking upset and redirected the fortunes of the perilous War of 1812. On this episode our guest is Erie Maritime Museum and US Brig Niagara Director, Captain Walter Rybka...spared no expense. In 1811 America's largest slave rebellion occurred in the new territory of Louisiana. 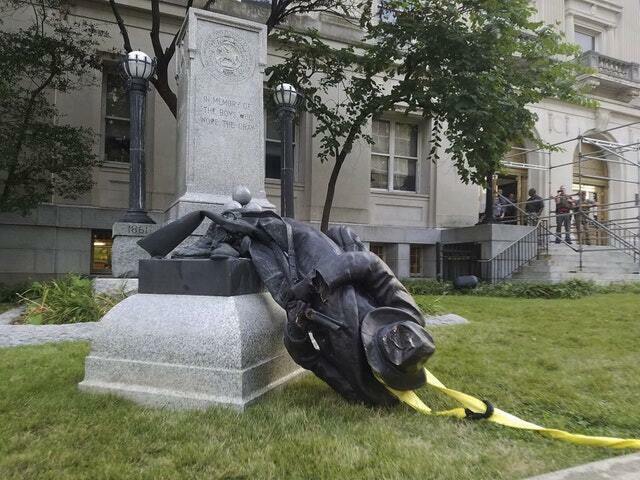 Skillfully timed and ultra-violent, the rebellion was fueled by the dream of a free republic for freed slaves. With the Haitian Revolution in mind, nearly five hundred enslaved men marched for freedom leaving many dead plantation owners in their wake. 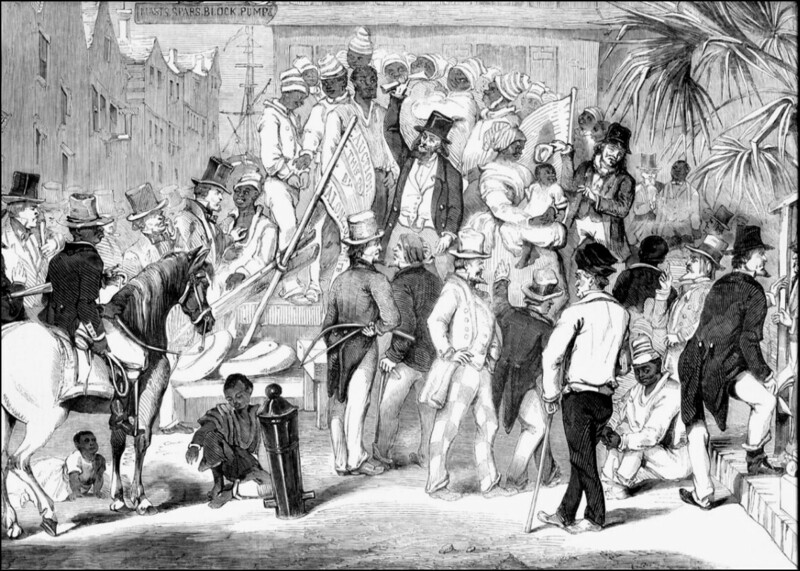 After nearly capturing New Orleans, the rebels were tortured and mutilated, and steps were taken by officials to erase the event from American history. On this episode we discuss the German Coast Uprising of 1811. In 1811 the dream of a unified Indian republic died at Tippecanoe. 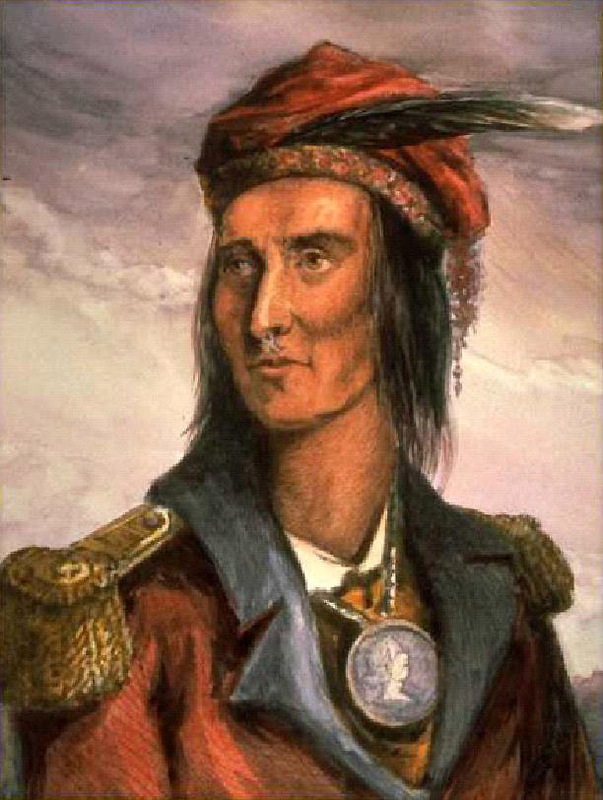 From a young age the Shawnee warrior Tecumseh fought for a destiny disrupted, a dream lost. Utilizing political skill, warrior prowess, and persuasive action Tecumseh came closer than any other Indian leader to creating a free and independent nation in the American West. On this episode, we discuss Tecumseh's rebellion. From 1791 to 1804, the enslaved peoples of the Caribbean’s richest island rebelled for their freedom. 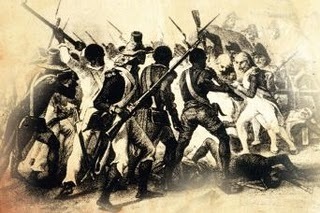 Led by a former enslaved man turned successful planter, the rebellion on Saint-Domingue was one of the bloodiest and horrible spells of violence in modern history. Taking many forms and costing thousands of lives, the Haitian Revolution overturned an old order, and put the entire New World on edge. After all the struggle and death, the world would never be the same. 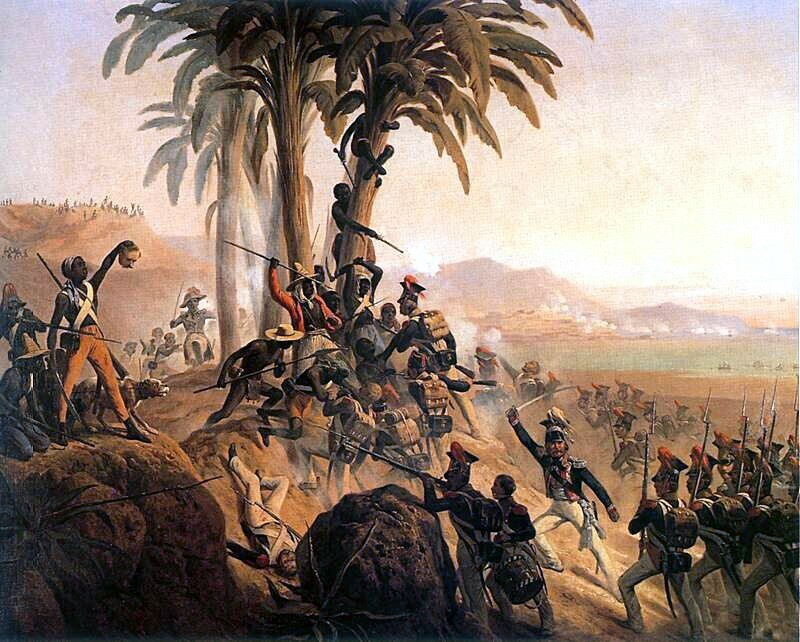 On this episode, we discuss the Haitian Revolution. In 1798 the American nation was embroiled in partisan conflict. With total control of the government, President John Adams and his Federalist Congress prepared for war with France. 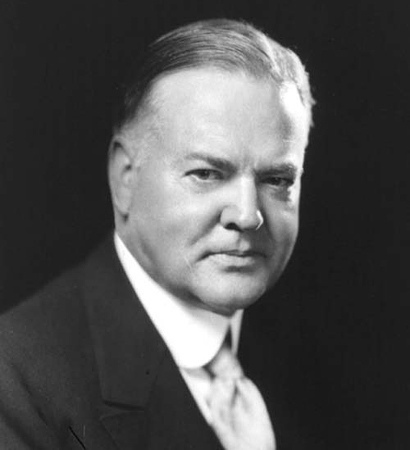 As part of their planning, the Adams Administration proposed a radical series of new laws including a “House Tax” that stirred resentment throughout the country. 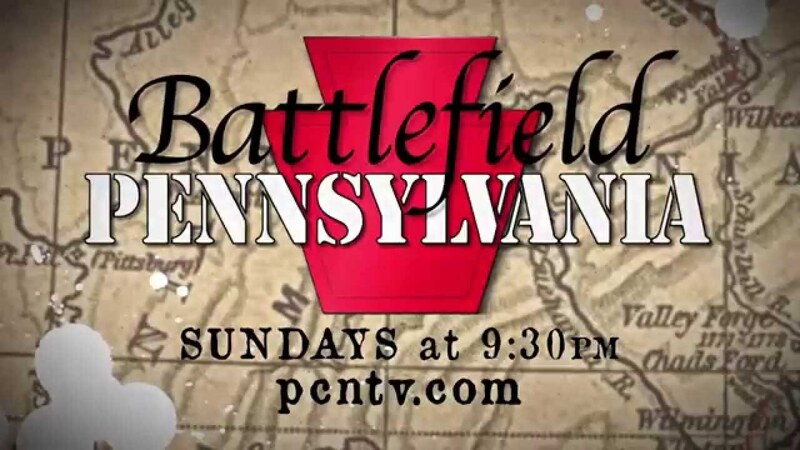 One of these groups was Pennsylvania’s vast German minority, and their animosity boiled over into a rebellion just a few miles from the capital city of Philadelphia. On this episode we discuss Fries “Hot Water” Rebellion of 1798. Just ten years after the American Revolution, the frontier was once again raising arms. Buried in debt, Treasury Secretary Alexander Hamilton placed an excise tax on domestically produced whiskey. Considering it a terrible burden, angry frontier farmers rose up in open rebellion against the United States in the vast Ohio Country. In the end, President George Washington saddled up his horse and led the American army as Commander-in-Chief one final time. On this episode we discuss the Whiskey Rebellion. Just three years after the American Revolution, rebellion stirred once more in Massachusetts. When state debts become too great, state officials demanded that backcountry farmers pay their dues at once. With foreclosures skyrocketing under the weight of crushing taxes, Revolutionary War veterans took up arms once more. “No Taxation Without Representation” was back in a big way, and under the leadership of Daniel Shays the rebellion threatened to end the American Republic in its earliest years. On this episode we discuss Shays’ Rebellion. By the 1740’s, the city of New York was the second largest slaveholding city in North America. Since its earliest days as a cultural melting pot under the flag of the Dutch, the city held African slaves as a permanent underclass and became a slave trading commercial giant. After being taken over by the English in 1667, tensions amongst the enslaved classes began to boil over into open rebellion, and fear and panic flooded the streets of Manhattan. On this episode we discuss the New York City’s Slave Rebellions of 1712 and 1741. Following the expedition of Vitus Bering in 1741, the Russian Empire planted its flag firmly in North America. With riches in mind, traders and trappers from Siberia soon found a wealth of furs and opportunity in the great wilderness of Alaska. Although the Russians prospered as North America’s fourth colonial superpower, its unfettered exploitation of the native Aleutic peoples backfired in the form of open rebellion. 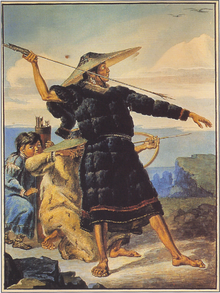 From 1763 to 1804, Russian North America was plagued by warfare, and the strains of a globalized economy began to take its toll on the tribal societies of Alaska. 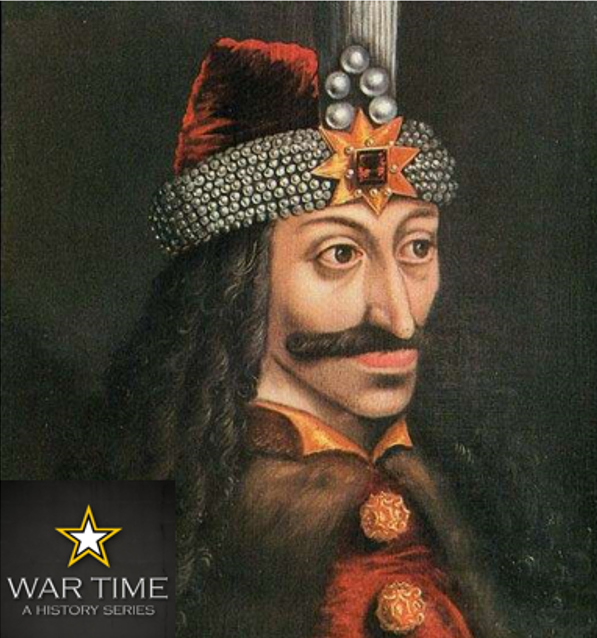 On this episode we discuss the rebellions of Russia’s secret North American empire. In the summer of 1680 a revolution swept through the deserts of Spanish New Mexico. Led by the fabled Popé, the Pueblo Revolt saw native warriors rise up against oppressive Spanish rule in the Rio Grande River Valley. After only two weeks of fighting, Popé’s warriors accomplished the unthinkable forcing the imperialists out of their ancestral homeland, an inspiration to revolutionaries for centuries to come. 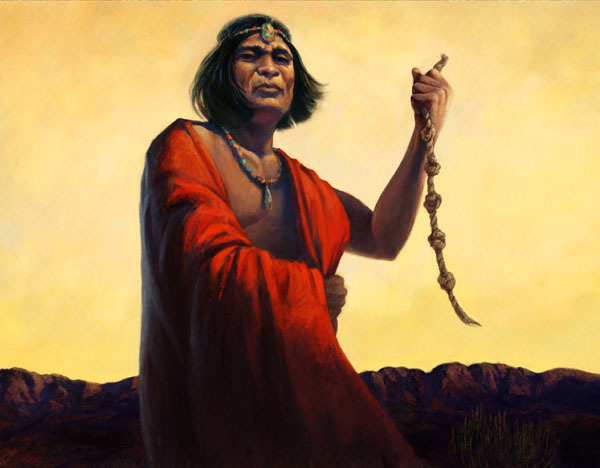 On this episode we discuss the Pueblo Revolt of 1680. A century before the American Revolution, a sweeping Indian rebellion sent New England reeling. Led by Metacom, known locally as King Phillip, warriors raided and devastated Puritan towns on a massive scale. Considered by many as the bloodiest per capita war in American history, King Phillip’s War left a permanent scar on the psyche of the Puritan’s great City on a Hill. On this episode we discuss King Phillip’s War. It’s the Season Six Premiere! 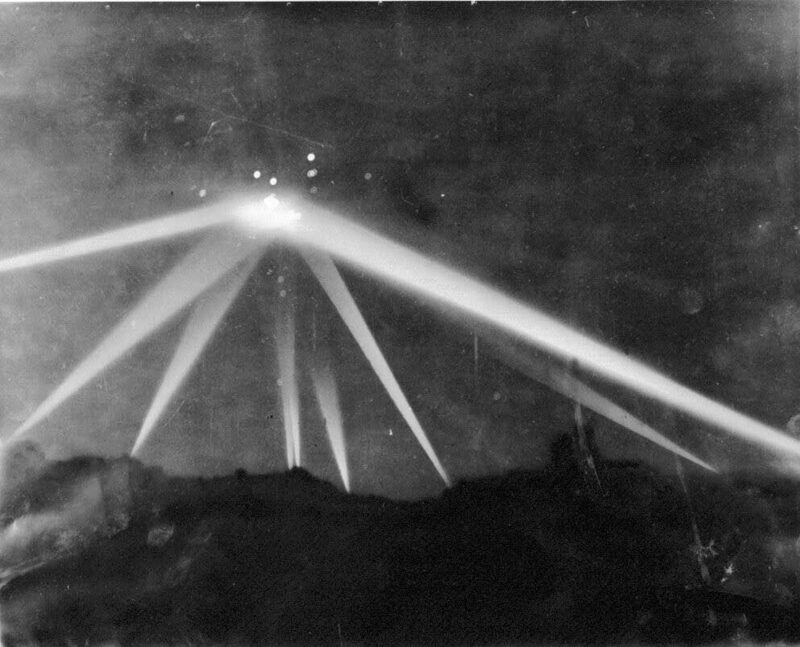 One hundred years ago this week America was gripped in fear and panic. In a span of two weeks, five people were attacked and four were killed as a result of the first shark attacks in modern US history. Known as the destination for the debonair, the Jersey Shore became the scene of a bloody collision of man vs. beast that would ultimately inspire the literary and cinema classic “Jaws”. Most shockingly of all were the deaths of two people in a shallow tidal creek over thirty miles from the open ocean. The search for the Jersey Man-Eater would eclipse World War I in newspaper coverage that summer, and a century later the culprit remains unknown. 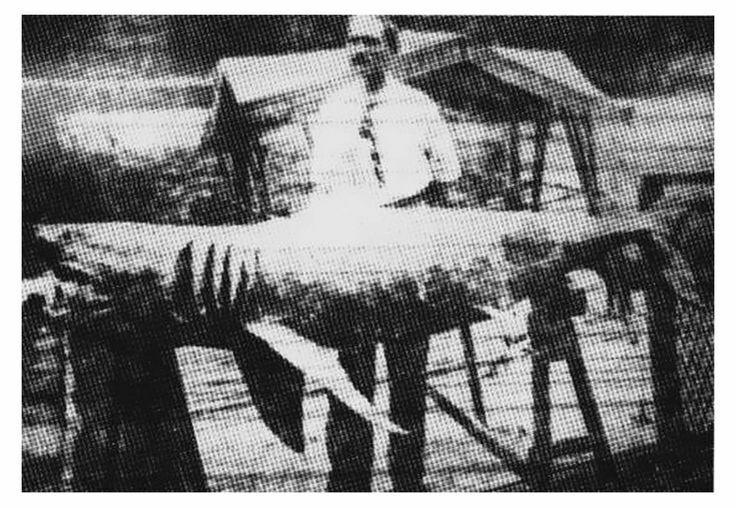 On this episode we discuss the Jersey Shore Shark Attacks of 1916. Less than a year after the start of Operation Iraqi Freedom, American soldiers were fighting house to house in the city of Fallujah. Known as a hotbed of radical activity, Fallujah saw Coalition forces storming buildings and trading machine gun fire with an almost invisible enemy. 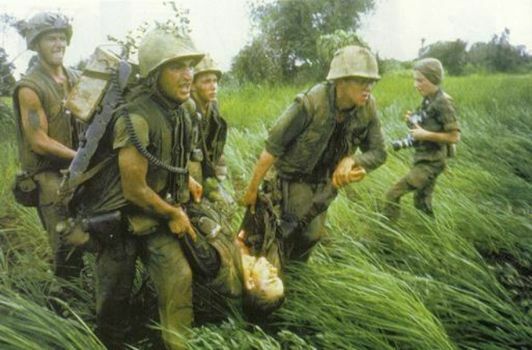 Fought by Army, Marines, and Naval servicemen, the month-long struggle known as Operation Phantom Fury stands as the harshest fighting seen by US soldiers since the Vietnam War. After a month of fighting the city was recaptured, and the final chapter remains to be written. 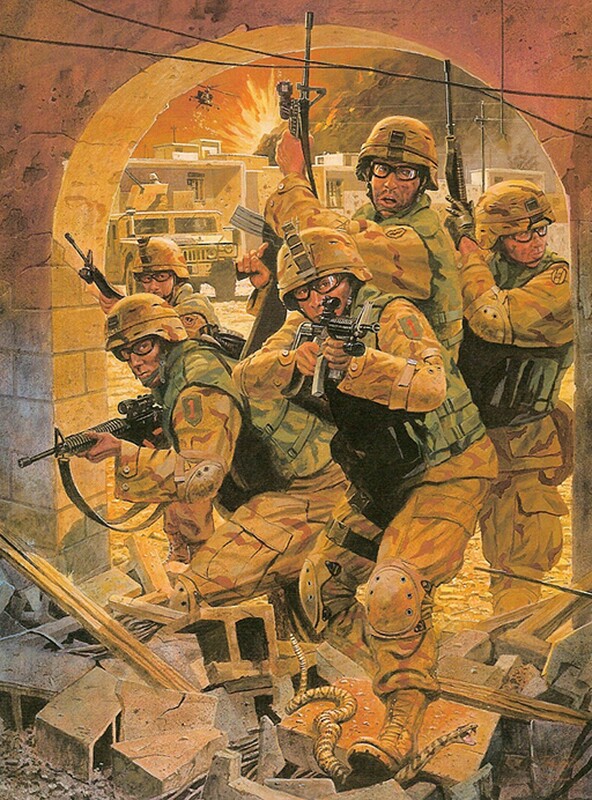 On this episode we discuss Operation Phantom Fury: The Second Battle of Fallujah. 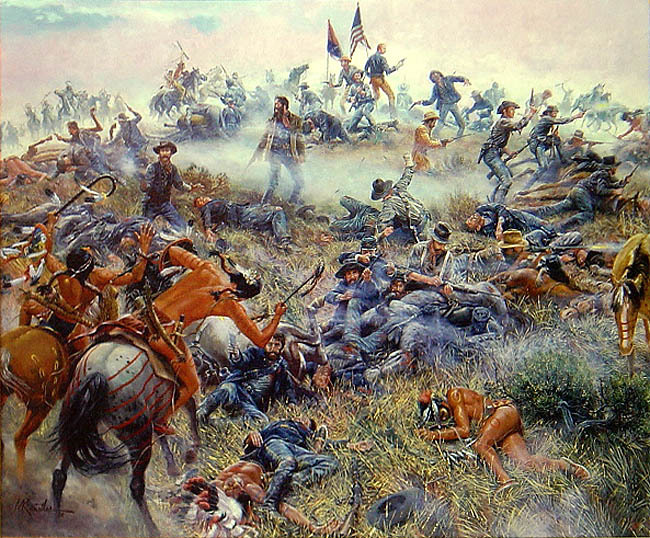 S05E11: The Battle of the Little Bighorn: Custer’s Last Stand? In June of 1876, on the eve of America’s 100th birthday, two armies went to war. 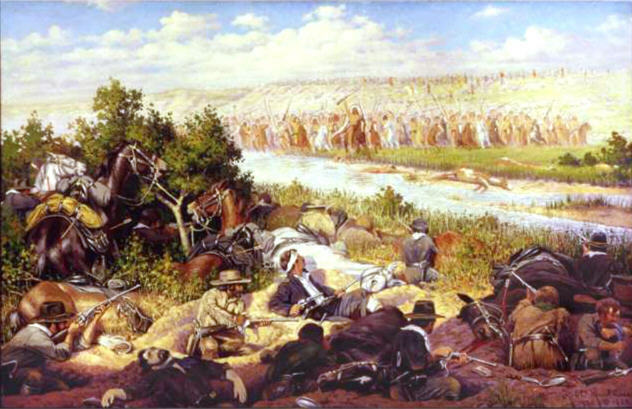 Led by the war chief Sitting Bull, the peoples of the Great Plains clashed with George Armstrong Custer’s vaunted 7th Cavalry. Due to negligence on all levels of command and the supreme horsemanship of the Plains Indians, Custer’s men were thoroughly defeated. Now almost 150 years later controversy still swirls around the events that transpired on those grassy Montana plains. On this episode we discuss The Battle of the Little Bighorn: Custer’s Last Stand. In 1756 the Colony of Pennsylvania was at war. 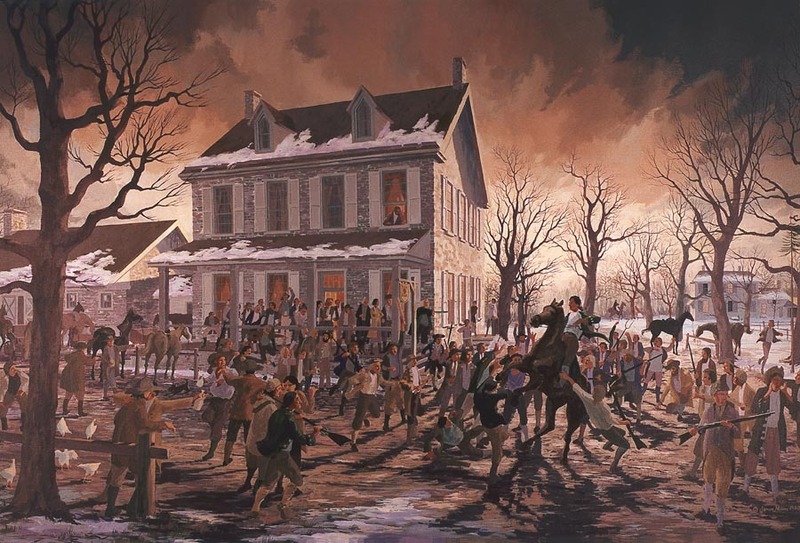 With the incursion of the French, the Western Delaware peoples of the Ohio Country raided and burned the frontier villages of William Penn’s Peaceable Kingdom. Although the colonial government was staunchly Quaker and did not believe in a standing army, the efforts of Benjamin Franklin rallied the province into action. In September of 1756 Colonel John Armstrong led 300 frontiersmen into the wilderness to raid and destroy the Delaware village of Kittanning. Although celebrated at the time, modern historians question the Kittanning Raid’s true motivations and effectiveness. On this episode we discuss the Kittanning Raid of 1756. 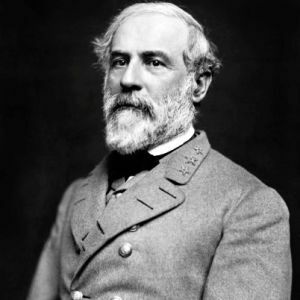 After two years of combat Confederate General Robert E. Lee moved his army north. At the centerpiece of what is now known as the Gettysburg Campaign the Southern officer planned a full scale invasion of the United States. Although he had tallied numerous victories, it would not be until Lee could persuade northern voters to reject President Abraham Lincoln in 1864 that his rebellion would truly be a success. After days of foraging and skirmishing, the Army of Northern Virginia accidently crossed a Union scout party leading to the largest battle in the history of the Western Hemisphere. On this episode we discuss the Gettysburg Campaign. Thank you for downloading this special preview edition of Wartime: Everything That You Need to Know About the Confederate Flag. To keep Wartime free for all, this in-depth analysis can be purchased for $2.99 on our website. We appreciate your giving, and this allows us to give back in return! 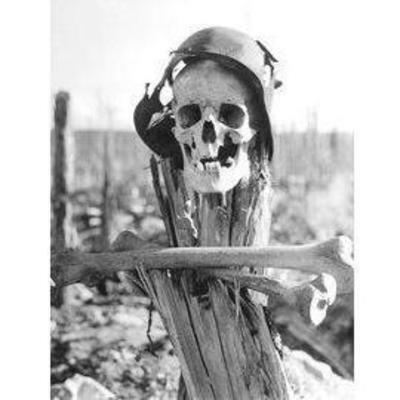 This full version of this episode is available for download at www.WartimePodcast.com. Thank you for your continuing support. 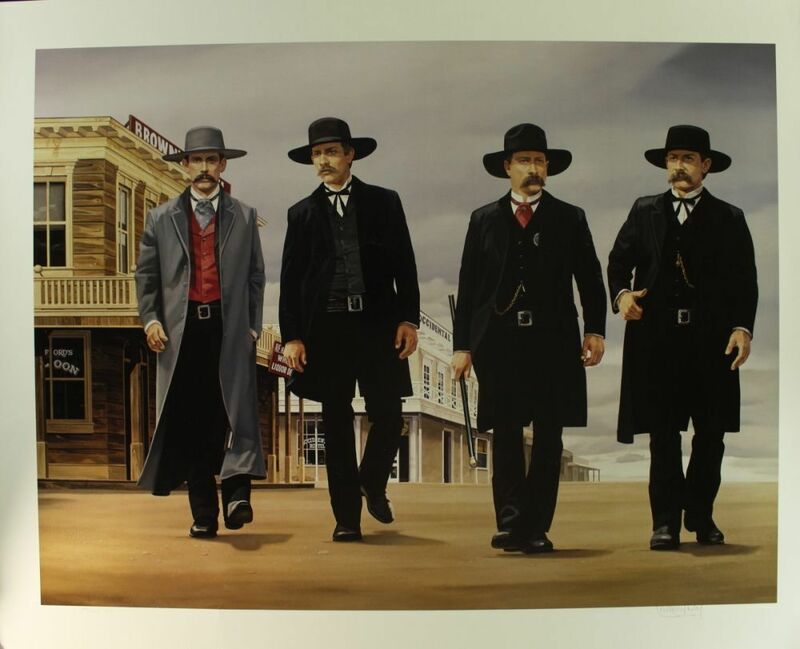 Called “the town too tough to die,” Tombstone, AZ was made infamous for hosting the now-legendary Gunfight at the OK Corral. In October of 1881, local law enforcement officers engaged a party of suspect criminals in a shootout; despite lasting only thirty seconds, the firefight has become a watershed moment in Western History. Although many have glamorized the moment, the days leading up to the event have shrouded the story in mystery. While some view the gunfight as the ultimate conquest of law and order over disorder, others believe it may have been nothing more than a premeditated assassination against unarmed victims. With the smoke now cleared, controversy is the only certainty. On this episode we discuss the Gunfight at the OK Corral. On this episode we discuss the Gunfight at the OK Corral. As America recovered from its terrible Civil War, unrest was stirring on the Great Plains. As the United States pushed westward, recent railroad construction brought on new conflict with a new enemy. Roman Nose, a warrior of the Cheyenne peoples, had set out to defend his ancestral home from the Americans and soon became the face of resistance in the region. In September of 1868 a party of fifty US soldiers came under attack on a tiny island on the Arikaree River, and for three harrowing days exchanged fire with a party of warriors that outnumbered them ten to one. Although the struggles on the Plains would continue in the years to come, this battle remains a remarkable example of heroism and bravery. On this episode we discuss the Battle of Beecher Island. In the midst of the greatest conflict in world history, the Soviet Union began to conquer surrounding nations in an attempt to build their mighty empire. Although some fell without resistance, the Scandinavian country of Finland valiantly resisted their advances. Fought for only five months, the “Winter War” between Finland and the USSR saw some of the worst fighting conditions ever witnessed. Fought in temperatures averaging forty degrees below zero, the USSR finally invaded its northern neighbor with a fighting force that was three times larger than the D-Day Invasion three years later. 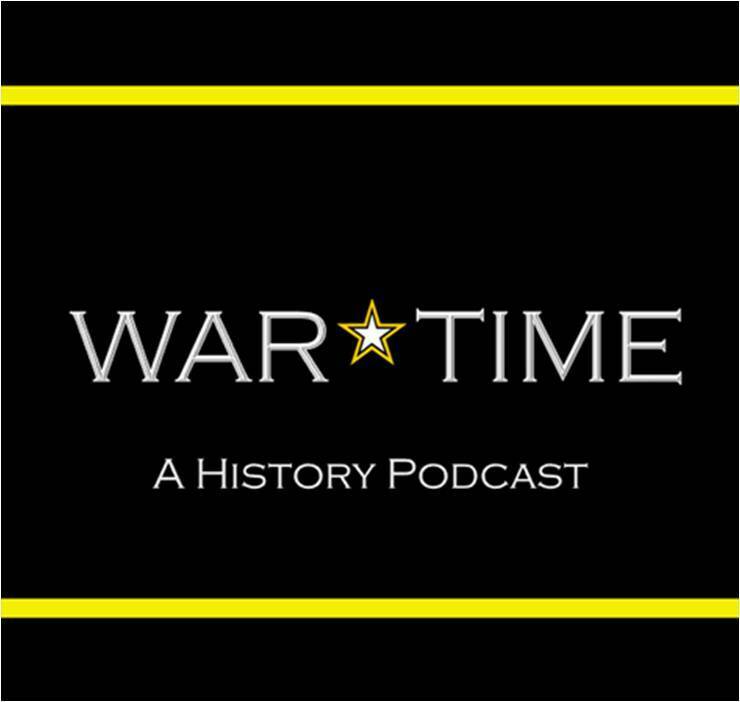 On this episode we discuss the Winter War. Only six months after the bombing of Pearl Harbor, Japanese Admiral Isoroku Yamamoto sought to finish off what was left of the American Navy. Circumstances would be different this time however as American codebreakers learned of the oncoming attack in advance. At the Battle of Midway the US Navy turned the tables on the Japanese and scored their biggest victory of World War II’s Pacific Theater. Although the war was still far from over, many historians speculate that Midway was an early turning point in the conflict that would pay dividends in the years to come. 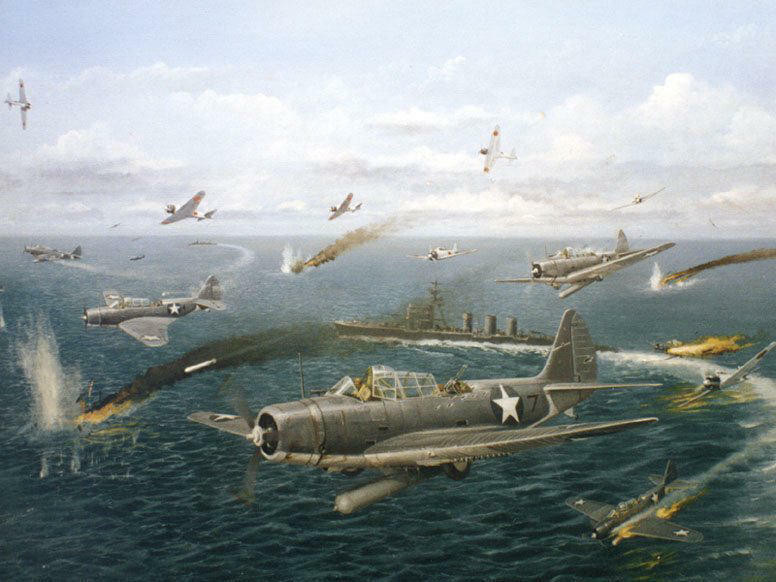 On this episode we discuss the Battle of Midway. “The Great questions of the day will not be settled by means of speeches and majority decisions but by blood and iron.” A Prussian noble by birth, Otto von Bismarck used political cunning a brute force to shake 19th century Europe to its core. Wholly committed to diplomacy at the point of a gun, Bismarck unified the disjointed states of the former Holy Roman Empire into a unified state known as the Second Reich. While he remains the picture of conservatism in the 21st century and a hero of the German people, questions remain about Bismarck’s motives; his achievements however are without equal. 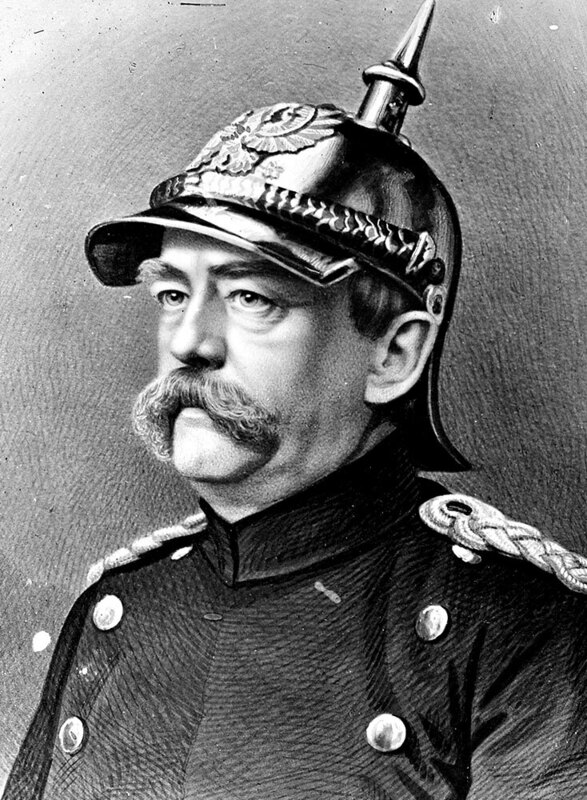 On this episode we discuss Otto von Bismarck, “The Iron Chancellor." The British Isles found themselves torn to pieces by war, and a new legend rose out of Scotland. Born William Wallace, this twenty-something warrior rose to prominence by showing undying commitment to the cause of independence. 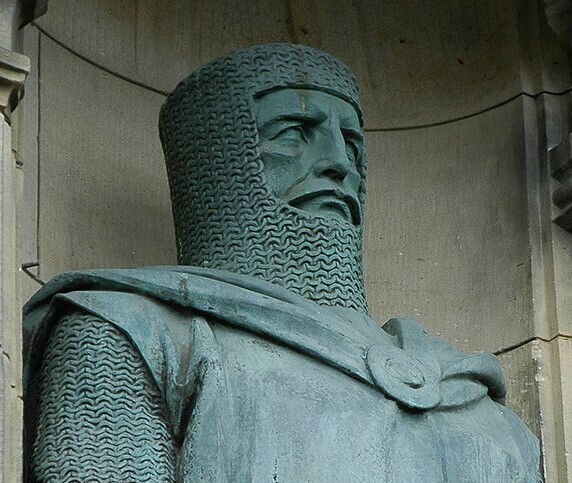 A natural leader and a tall in stature, Wallace became the face of resistance to England’s Edward I and revealed a penchant for brute force and violence. Although he was romanticized by the Mel Gibson film, Wallace was no Braveheart, but would become so much more. On this episode we discuss William Wallace. In 1822 a former slave took the name of Denmark Vesey and sent the antebellum south into a tailspin. Born in the Caribbean, Vesey purchased his own freedom for $600 and quickly became one of the most visible figures of African-American liberation in the city of Charleston. Though he was himself free, Vesey worked closely with enslaved peoples and organized what would have been the largest slave uprising in American history. 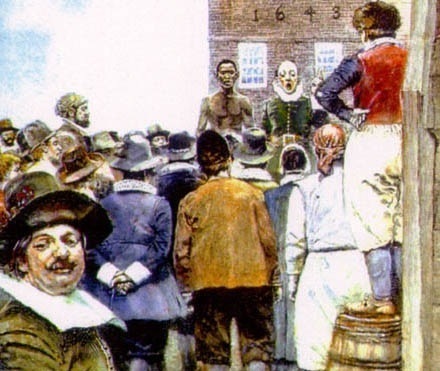 Betrayed by his own people and brutally executed, Vesey’s impact aroused the political emotions of the South to pass aggressive new laws that moved the country one step closer to civil war. On this episode we discuss Denmark Vesey. A member of the powerful Lakota Sioux nation, the young warrior known as Crazy Horse rose to prominence as a quiet defender of the Great Plains. 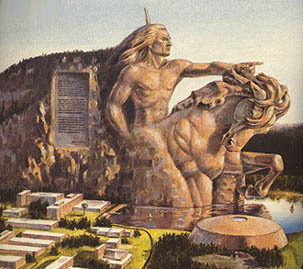 Faced with a relentless incursion by westward moving immigrants from the United States, Crazy Horse rallied one of the strongest resistance movements in the history of North America. Beginning with his witness to many terrible atrocities by white soldiers as a child, Crazy Horse would leave a permanent mark on the growing American nation by defeating its greatest commander at the Battle of the Little Bighorn. On this episode we discuss Crazy Horse, Defender of the Plains. Captain Edward J. Smith lived a sailor’s life and commanded some of the largest vessels in world history, but his reputation would be forever remembered as the man that piloted Titanic. Although many believe that his actions lead to the massive ship’s 1912 sinking and the deaths of over 1500 souls, many speculate as to his condition to even pilot the vessel. 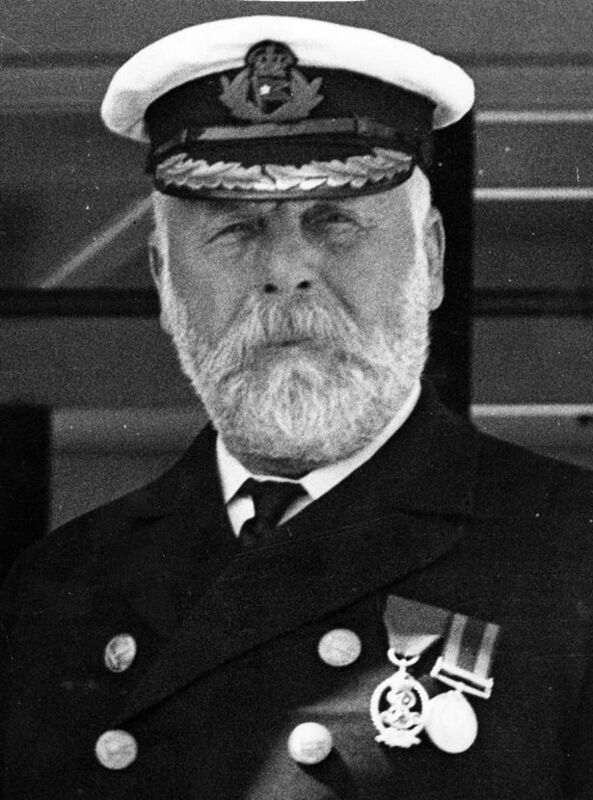 Just one year before Titanic made history, Smith faltered as Captain of its sister ship Olympic, and swore that after Titanic’s first voyages he would retire for good. On this episode we discuss Captain Edward J. Smith, RMS Titanic. 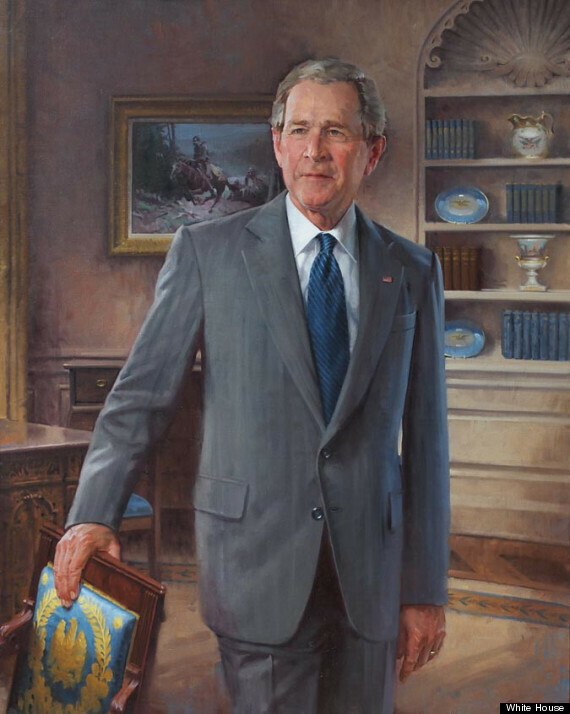 Born into wealth and taking office after the Disputed Election of 2000, George W. Bush was elected as a peacetime president. Soon after taking office the terrorist attacks of September 11th, 2001 transformed his low-risk tenure of office into one of war and conquest. Although he tallied the highest approval rating in presidential history in the days following the attacks, he would leave office with the lowest public support in modern history. His actions were controversial and his election was contentious, but only after leaving office did his vision for a free and democratic world finally begin to emerge. On this episode we discuss George W. Bush. After a party of Roman soldiers devastated her family the Iceni Queen Boudica staged the largest rebellion in the history of the empire. With vengeance in her heart and a nation at her back Boudica ransacked, pillaged, and plundered her way to victory in Roman Britain. Although there were four Roman Legions nearby, Boudica and her British warriors reduced Caesar’s occupation of Britain to ashes. 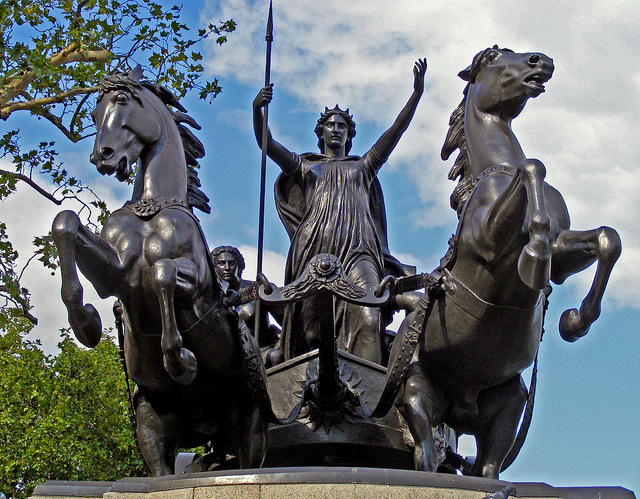 Just as suddenly as it began however Boudica’s rebellion collapsed when the Roman General Paulinus defeated her army of over 200,000 warriors at the Battle of Watling Street. On this episode we discuss Boudica, Warrior Queen of Britain. Lasting 68 years, Kinich Janaab Pakal is the longest reigning monarch in the history of the Western Hemishphere. Starting in 615, Pakal ruled transformed the Mayan city-state of Palenque from an often conquered client city to a regional powerhouse in Southern Mexico. Known for his immense building projects, the discovery of Pakal’s intact tomb has led some to call him the Tutankhamun of the Americas. In a Mayan society fueled by endless competition and brutal war, this great king stands as a giant amongst others of his day. 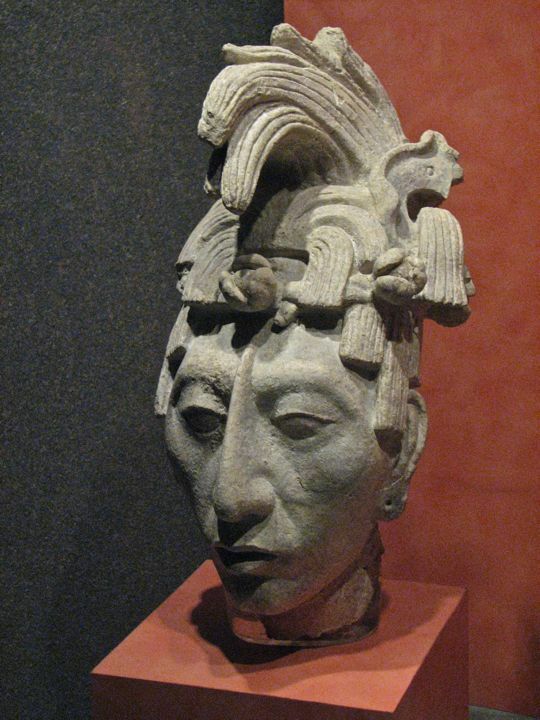 On this episode we discuss Kinich Janaab Pakal, King of Palenque. In the tumultuous history of Southern Africa one man reigns supreme and his exploits were nothing short of revolutionary. Shaka Zula was born to humble beginnings and ostracized by his father, but through political intrigue and extraordinary violence would come to rule the Zulu nation. Using innovative new tactics yet unseen in Sub-Saharan Africa, Shaka’s reign would become one of brutal conquest and absolute consolidation. 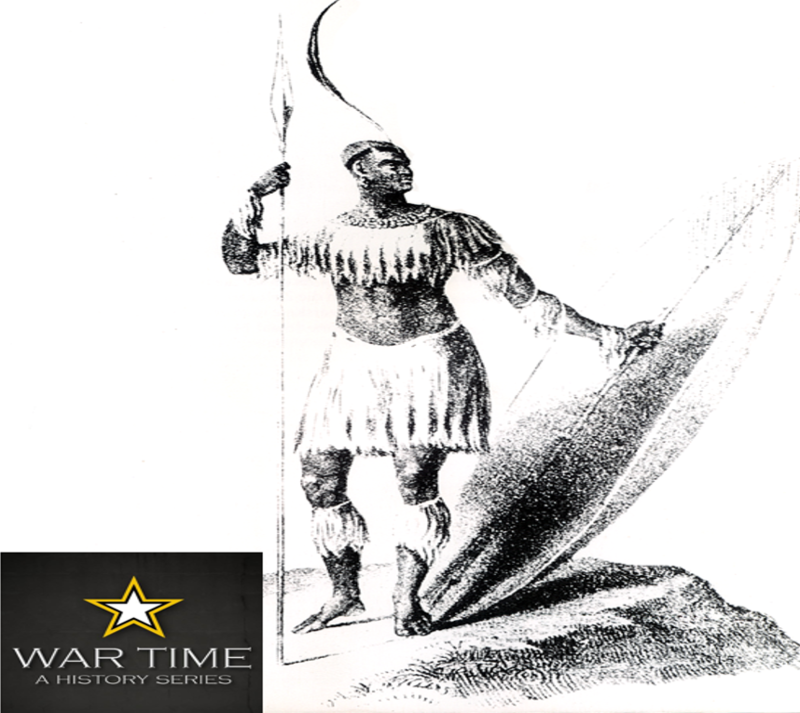 By the end of his life the Zulu Empire would be home to over a quarter of a million people and be the premiere superpower of Southern Africa. On this episode we discuss Shaka Zulu, his life and legacy. 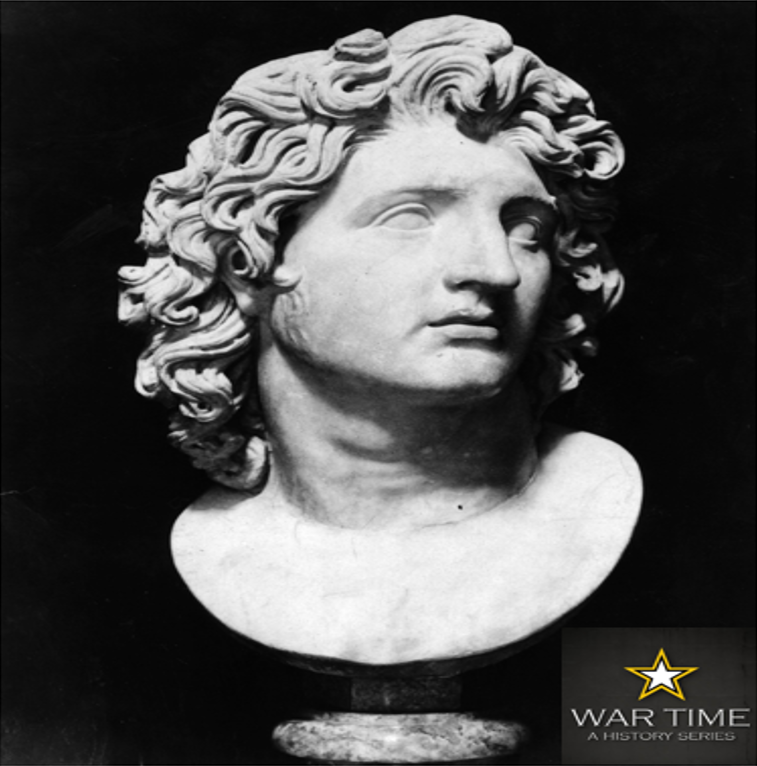 In the fourth century BCE the Macedonian kingdom conquered all of Greece and eventually the known world. Leading this charge was an ambitious twenty-something named Alexander; the end of his life he would be called “the Great.” But who was this figure, where was his past, and what was his path to glory? On our Season Four premiere we discuss Alexander the Great, the Master and Ruler of the world. After five years of combat the British Empire was failing in its North American colonies. After trying and failing to capture the rebel army in the northeast, the Court of St. James proposed a dramatic new shift in the size and scope of the war. Believing that the King still had a majority of loyal support in the South, British forces sailed en masse for an invasion of South Carolina and Georgia. After tremendous victories and Savannah and Charleston, mistakes made by the empire would leave them second guessing their new strategy. On this episode we discuss the year 1780 and the Southern Strategy. With less than 45,000 troops to their name and crippled by debt, the British Empire was desperate. Knowing that a conscript draft would be unpopular and over budget, Parliament turned to the disunited states of the Holy Roman Empire to fill their ranks. Although often called “mercenaries,” the German soldiers recruited to fight in North America were anything but, and most were forced to serve against their will. On this episode we discuss the Hessians. Remember, my new book “Hessians: Mercenaries, Rebels, and the War for British North America will be released this spring. What began as a tiny rebellion in a handful of distant colonies was rapidly changing. Following the American victory at Saratoga, the empire of France pledged its support to the Patriot cause and breathed new life into the American Revolution. After a harsh and terrible winter at Valley Forge, followed by a drastic reversal of fortunes due to French monies, George Washington’s Continental Army was finally ready for primetime. But the war itself would soon morph, and distant lands rarely associated with the American revolutionaries would now find themselves embroiled in conflict. On this episode we discuss the forgotten legacy of the year 1778. By the year 1777 the British Empire was fighting a losing battle. Sensing the rebellion in the American colonies was still a regional flare up of hostilities, General John Burgoyne set off to slice North America in two. In what would be called the Saratoga Campaign, 10,000 British soldiers invaded the colony of New York from their base in Quebec and seemed all but unstoppable. 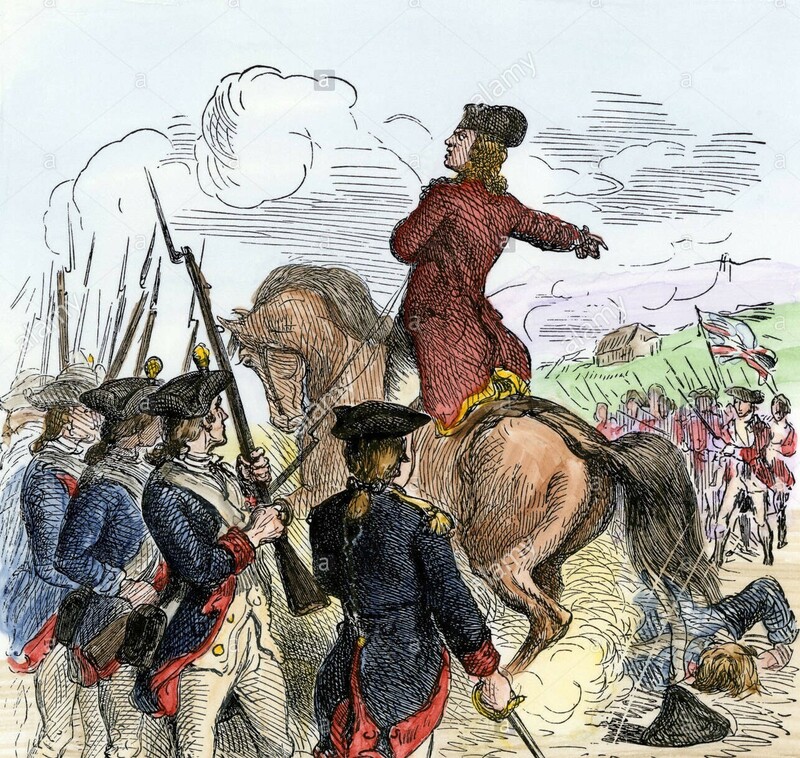 But, in a dramatic turn of fortunes the Patriot commander Horatio Gates defeated Burgoyne and gave the fledgling revolution new life at the battles of Saratoga that fall. 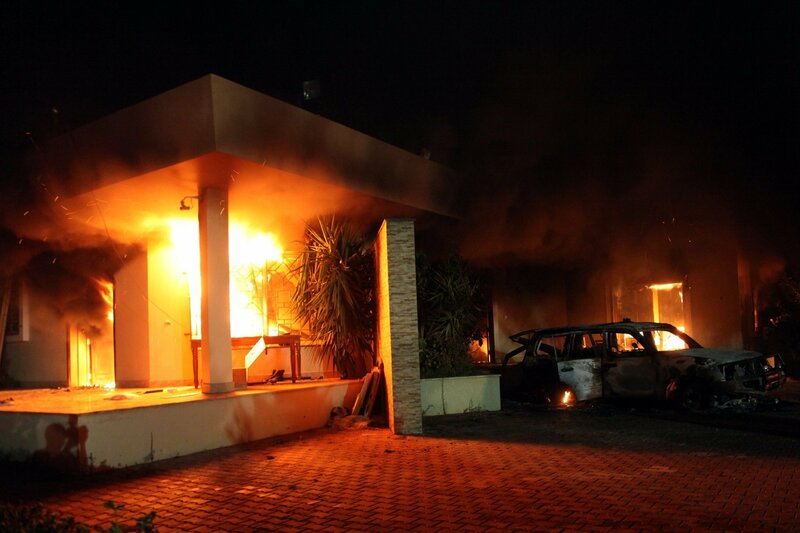 The consequences would be drastic, and the small insurrection that began in Boston would soon spread across the globe. On this episode we discuss the 1777: The Year of the Hangman. After the British disaster at Bunker Hill, General William Howe abandoned Boston and took refuge in Canada. While George Washington’s Continental Army raced toward New York, the largest invasion force in the history of the empire stormed the shores of Long Island. After one disastrous defeat after another, a desperate George Washington crossed the Delaware to initiate and much needed victory that remains one of the most controversial military assaults in modern history. On this episode we discuss the year 1776; the Battle of Long Island, White Plains, Trenton and Princeton. In the Spring of 1775 the British General Thomas Gage set his sights on the countryside of Massachusetts. After receiving permission from England to use force against rebel Americans if necessary, the British designed a harrowing mission to capture and confiscate a cache of illegal patriot firearms stored in the tiny village of Concord. While the British prepared their march, rebel leadership fled for their lives and a Patriot leader named Paul Revere spread his message straight into history. At the end of the day the American rebellion had taken a bloody turn as they and their imperial masters clashed in not one, but two terrible battles. On this episode we discuss the battles of Lexington and Concord. S03E06: Lord Dunmore’s War, 1774. In the Summer of 1774 trouble stirred on the American Frontier as Great Britain was faced with yet another terrible Indian Uprising. Following the signing of the Treaty of Fort Stanwix in the year 1768, the Iroquois effectively gave American settlers free reign of the Ohio River Valley. Although the document was officially sanctioned by the Six Nations and Imperial Administration, the Shawnees who actually lived in the region saw any European encroachment as an act of war. In one of the great powerplays in history Lord Dunmore, the Governor of Virginia, used these circumstances to manufacture a war in which he stood to profit greatly. Although labeled “Lord Dunmore’s War” in the history books few understand this terrible and bloody conflict and often miss its ties to the larger Revolutionary Age. In the year 1768 the British Empire believed that they had honed in on the source of the troublesome sedition in the American Colonies and singled out Massachusetts as the primary culprit. In a stunning move the empire ordered General Thomas Gage to occupy the city and set in motion a path of bloodshed and chaos. In March of 1770 Bostonians were fired upon by imperial forces in an event that would become known as the Boston Massacre, and three years later colonists had their revenge at the so called Boston Tea Party. On Today’s episode we discuss Boston, Bloody Boston. 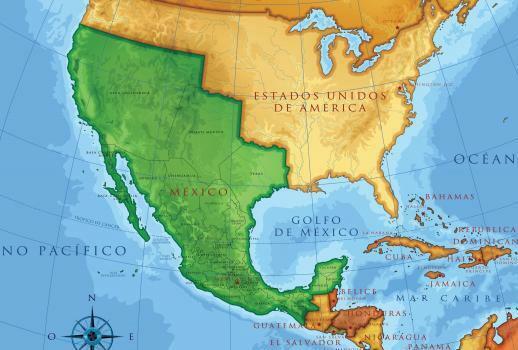 In the Summer of the 1763 the frontier was bathed in blood and burned to the ground as a massive Indian Insurgency swept across the North American Continent. Fueled by discontent as a result of British Imperial austerity, native warriors turned to political upheaval and violent resistance in an attempt to terrorize settlers off of their ancestral hunting grounds. 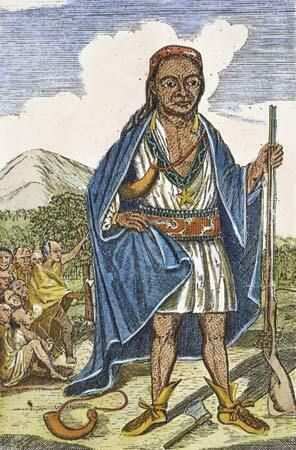 While the movement had many leaders and lacked true cohesion, the Ottawa Chief Pontiac in the Great Lakes and the Mingo chief Guyasuta in the Ohio Country became the face of terror on the frontier. Their actions, along with a decided inaction on the part of the empire, drove many American settlers to the brink and made open rebellion a real possibility for the first time. On this episode we discuss Pontiac’s Rebellion and the Indian Insurgency of 1763. 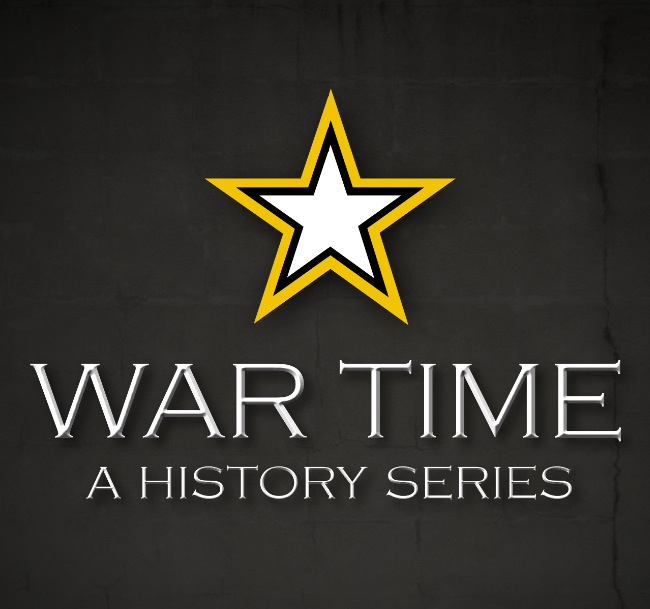 After fifteen episodes spanning three continents and thousands of years Season Two of Wartime has come to a close. On this Ancient World wrap up we discuss the highs and lows of the series, the theme of season three and for the first time answer your questions live. You have written from all corners of the globe, and the conversation is stronger than ever. At the dawn of the 5th century BCE, two worlds collided in epic and dramatic fashion as the mighty Persian Empire waged war against the city states of Greece. Beginning as a minor rebellion in the far western fringe of Darius’ empire, the conflict would explode into a full scale war that would last for five decades. Spanning dozens of battles of costing thousands of the lives, the Greco-Persian Wars have shaped western imagination for over two thousand years. In the first of this two part episode, we discuss the roots of the hostilities, the Ionian Revolt, the first Invasion of Greece and the battle of Marathon. By the 8th century BCE the city states of Greece had arisen to their classical age and began shaping the direction of western civilization. As a scattered collection of individual powers, shared cultural attributes force historians to consider the inhabitants of the Greek mainland to be one society governed by the same world view. While having a great deal in common, the Classical Greeks often battled one another and divided their loyalties between the two superpowers of the age, the Athenians of Attica and the Spartans on the Peloponnesus. On this episode we discuss the emergence of Classical Greece and the rivalry of Athens and Sparta. Considered by many to be the first Greeks, the Mycenaean elevated their culture through the conquest of others. Located primarily on the Greek mainland, this power would come to rule over thousands of people before setting their sites on their Minoan neighbors to the south. With the island of Crete only a short distance away, the Mycenaean conquered the Minoan people and ended their way of life. Although a complete victory, it was only then that the Myceneans truly flourished as their adopted and adapted Minoan civilization to make themselves the most powerful force in the region. On this episode we discuss the rise and fall of the Mycenaeans, the first Greeks. Nearly 5000 years ago an advanced civilization emerged on the Mediterranean island of Crete that would come to dominate the seas. Although they left behind a plentiful supply of artifacts, palaces, and artwork, it was not until its rediscovery in the modern age that they were finally called the Minoans. While we know comparatively little about their society, it is glaringly apparent that they played a vital role in the commerce of the ancient world and the development of modern Europe. Despite these unanswered questions, archaeologists believe that a volcanic eruption and monstrous tsunami buried the secrets of the Minoan civilization for a millennia. On this episode we discuss the lost empire of the Minoans. Despite its humble beginnings, the Persian Empire would become the largest political force in world history. Although remembered for its lavish building projects and continuous cultural achievements, the Persian world would not have been possible if not for the efforts of one man. Known as Cyrus the Great, this ruler reshaped the world and built the first empire to rule of three river valleys simultaneously. From the Nile to the Indus, Cyrus was one of the only people to truly be deserving of the title great. On this episode we discuss Cyrus rise to power and the birth of the Persian Empire.